Photographer Iron Mike Savoia has uploaded a seven-minute clip of Journey’s Neal Schon and Joe Satriani jamming together during Schon’s concert at the G4 Experience in Palm Springs at Hotel Zosa on January 6. You can check out the footage, which features a run-through of Jimi Hendrix’s “Red House,” above. 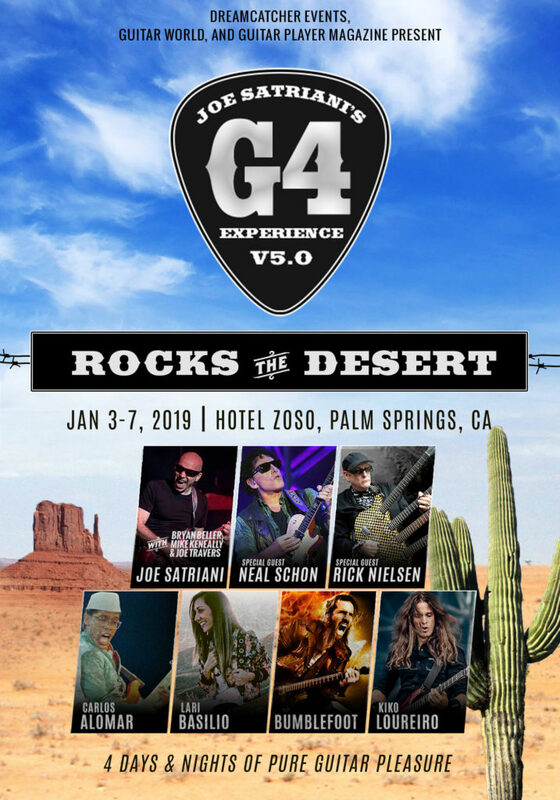 As previously reported, Satriani’s G4 Experience V5.0: Rocks the Desert featured Schon, Cheap Trick’s Rick Nielsen, Bumblefoot, Megadeth’s Kiko Loureiro, former David Bowie guitarist Carlos Alomar and Lari Basilio.